I have also discovered a new snack to patronize and I have been dying to share it. Top Breads in Noida Sector 18 has come up with a thing called “Chicken Pocket”. It is essentially a quarter of a Pita bread, halved in the middle and filled with coleslaw and chicken with lettuce. Divine!!!!! Somehow most roads go via Top Breads these days ;)!! Mix all ingredients and blend into a smooth paste. 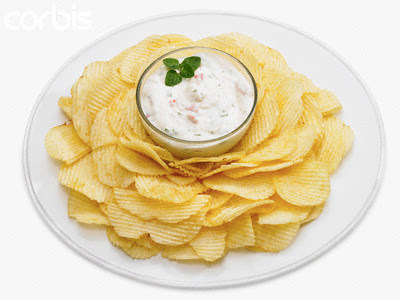 Enjoy as a dip with chips, nachos, chicken nuggets and almost anything!!! To alter the flavor, you can substitute the chilli flakes with oregano or other herbs. Do not mix flavors though, stick to one. :) sounds delish! for the maggie masala cube-one can go to an indian store and get some or order some... for our pakoras, etc we usually use MDH chaat masala or something similar as they have a wide range of seasonings so maybe something from their range...? Hmm....chat masala wont give it the same flavor. If you dont get the maggi cube, just skip tht and go with the rest of the ingredients. The Pyramids of Giza - Twice Over! !